Were you one of those crazy people standing outside at 3am this morning waiting to score a deal on the latest electronic toy for Christmas? Not me. This year I decided we would try something else. I’ve shared how important travel is to our family. It’s more than just a good time, it’s an opportunity to open my kids eyes to the world outside of our small community. So this year when grandma and grandpa started asking what the kids might like I drew a blank. My kids have a lot. A lot more than they need. A lot of things that they never play with. There isn’t even anything they have been asking for. I told grandma and grandpa I’d get back to them. Then it became really clear to me what the perfect gift would be. It was the perfect solution. We all love to travel and while the cost was a bit more (ok quite a bit more) than I would spend on gifts it offers us the opportunity to get away with the kids and to give our other family members a way to help out. It also means they won’t be getting more toys and other assorted “junk” they won’t play with and will take up space. 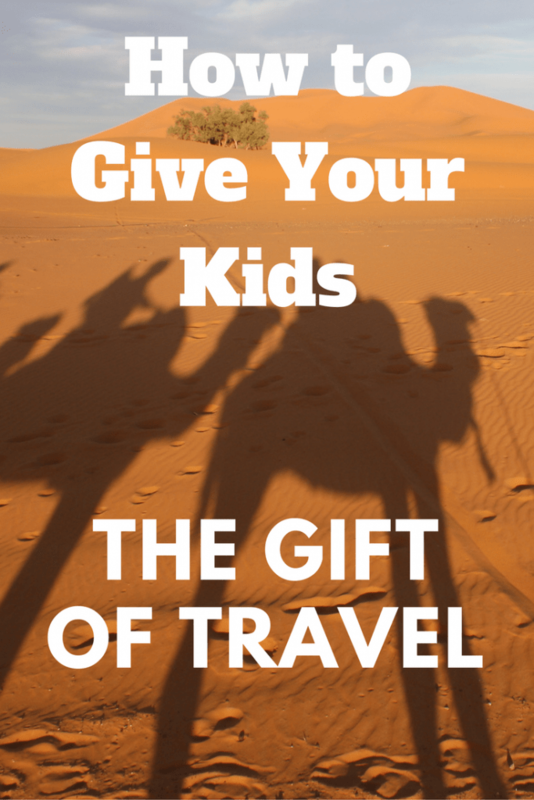 Why should you consider giving travel to your kids as a gift this year? They’ll forget about the Lego set, My Little Ponies, and Furby’s a few weeks after the holiday is over. There’s no substitute for experiencing a new culture. Gifting a vacation means they likely will have to wait a little while before they get the gift. I’ve noticed instant gratification is a huge problem with my kids. This type of gift gives them something to look forward to and plan. Chances are you’re probably planning to take a family vacation at some point in the next year. Roll the two things into one and make it just a little bit more special than you may have otherwise. Plan ahead. If you’re looking to purchase a trip as a gift this holiday season, plan out at least 6 months and upwards of a year. I traditionally advocate for planning travel on your own through online resources but if you can’t pay everything at once and don’t want to put it on a credit card, travel agencies offer other solutions. We’re taking a cruise and with a travel agency, your deposit is due at booking but you then have several months to pay the balance. Prepay as much as possible. Vacations aren’t just the tickets and the lodging. Prepay any travel expenses you may incur such as gratuities, food plans if available, and any activities you’ll be participating in. You can often get discounts when doing this and will make your trip much less stressful. Take advantage of any discounts your workplace may offer. Some employers have arrangements with hotels, car rental agencies and even airlines that can help you get a discount on a family vacation. Travel Layaway – yes it does exist. Take heed, this is similar to a credit card arrangement, there is interest in most cases. That being said if you’re not big on credit cards or don’t have one it offers you the chance to book your trip and pay as you can. Sears is probably the most reputable vendor in this area. Don’t let distance hold you back. When I started planning I looked at vacations in the continental US, and gradually expanded my scope. I assumed it would be cheaper to travel within the US. That wasn’t the case. You may find a trip to the Caribbean or South America is less expensive than a week in San Diego or New York City. Let others in on your plan. Grandma looking for a great birthday gift for junior? How about paying for a shore excursion on your upcoming cruise? Aunt in need of an idea? Swim trunks would be a big help. These are things that you would buy anyway but allow help from family members. Remember the point of the trip is to cut down on those gifts your kids would be getting and forgetting. The swim trunks will be useful, and snorkeling in a coral reef is way more memorable than that Transformer thing. So that’s it! Oh and just a final trip to make it extra special. I’ll be getting a few smaller things to wrap up for my kids. A book about the Caribbean, maybe some seashells or rainforest animals until they unwrap the final box that let’s them know where we’re going. Stay tuned later in December for my big reveal! Have you ever given travel as a gift? Would you? This is a marvelous idea. Planning is key to a trip. These are great tips. 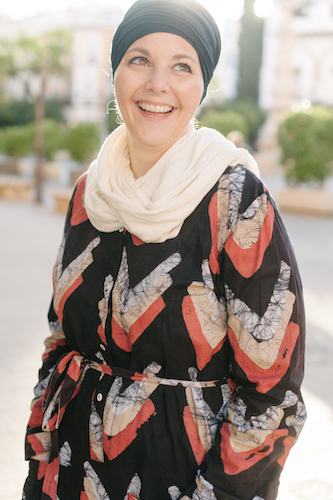 Our next family adventure is to Spain with a stop in Tangier, Morocco. We are really looking forward to it. Yes!!! Absolutely- travel is the best gift:). I think your tip about not thinking about distances is so true. Often times traveling anywhere to Latin America is cheaper than NYC or LA. Fun!! Very true! Many people don’t think of that and just assume it’s more expensive to travel internationally. Many times that’s not the case – not to mention it’s often cheaper for food, accommodations, attractions etc outside the US. This is amazing, we are actually travelling this Christmas, so it will be a great time to build those memories, definitely worth it. This is such a fantastic idea. It’s true that the memories built on a family vacation last so much longer than some random toy from the store. I love this idea! I have a friend who does something similar. Instead of exchanging gifts with her family (her Mom & Dad plus her brother and his family), they all take a trip together usually around Christmas. It’s really a great experience and it takes off a lot of the stress of what to get.